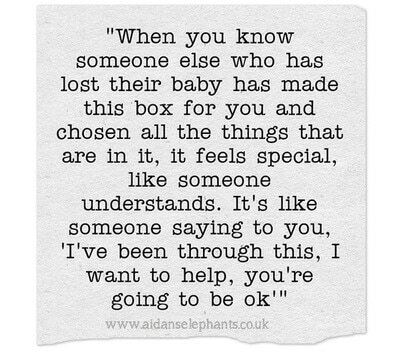 "It is not just a keepsake box. 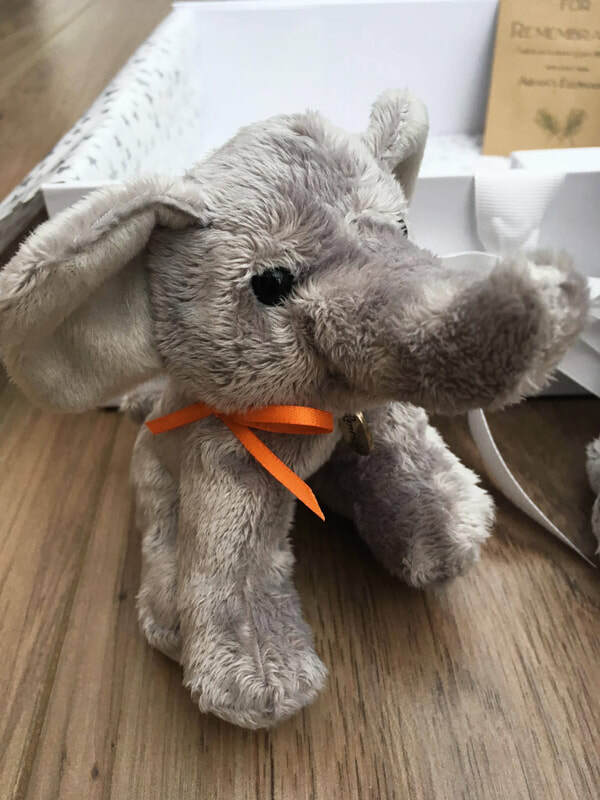 It is a chance to create Memories, To Share Experiences. 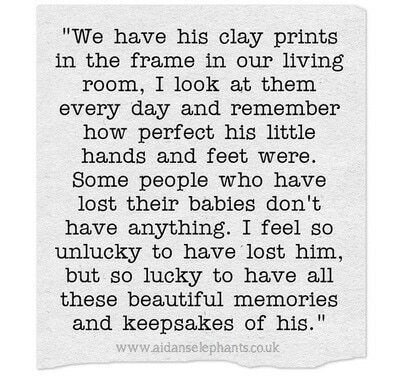 To capture a lifetime in just a few moments." 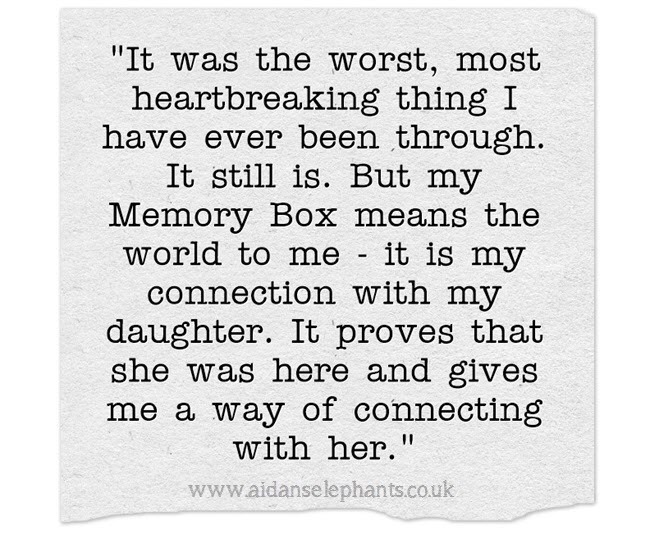 What Does Your Memory Box Mean To You? We asked some of the bereaved parents and families who had sadly received our Memory Boxes, to talk to us about what their Memory Box meant to them. We had three reasons for asking this question. 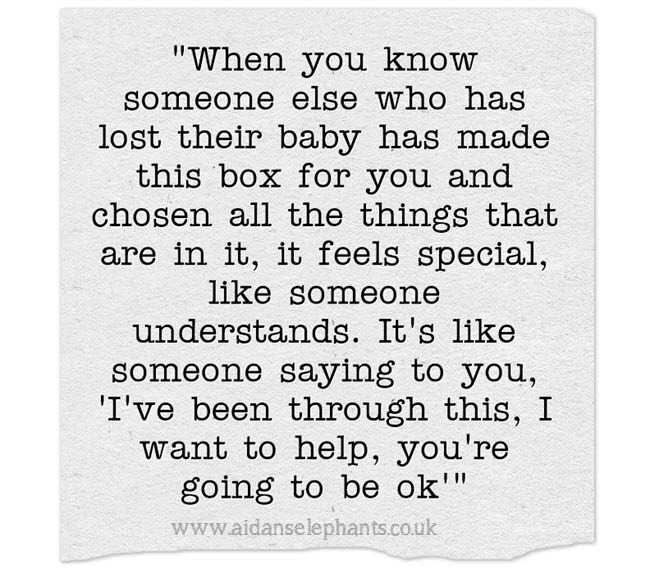 * To give parents and families the opportunity to talk about their experience of losing their baby, to normalise the often hidden grief that is associated with the death of a baby or young child. 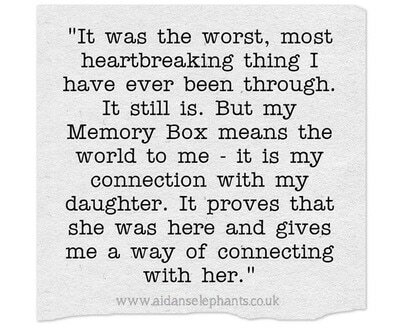 * To provide an insight into parents' experiences which would help health professionals and the general public to understand why Memory Boxes are such an essential part of bereavement care. 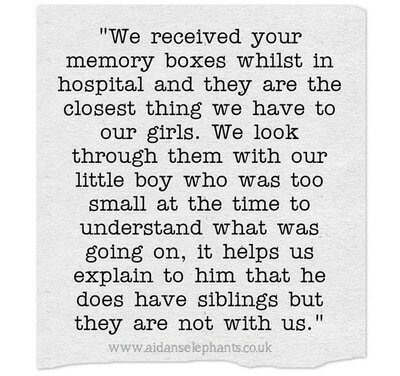 * To receive feedback on how we could improve our Memory Boxes. 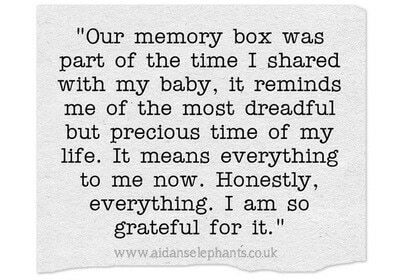 We received some beautiful, heartfelt responses and we are incredibly grateful to everyone who took the time to respond to us. 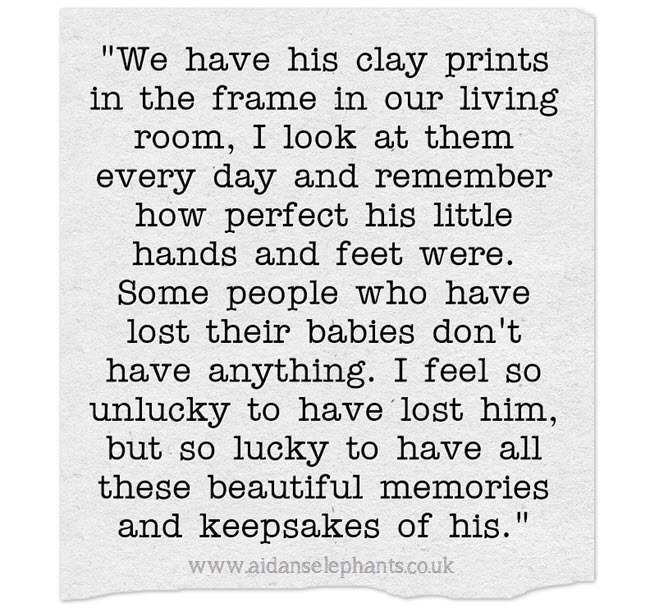 Thank you for talking so openly to us about your children and your experience of loss. 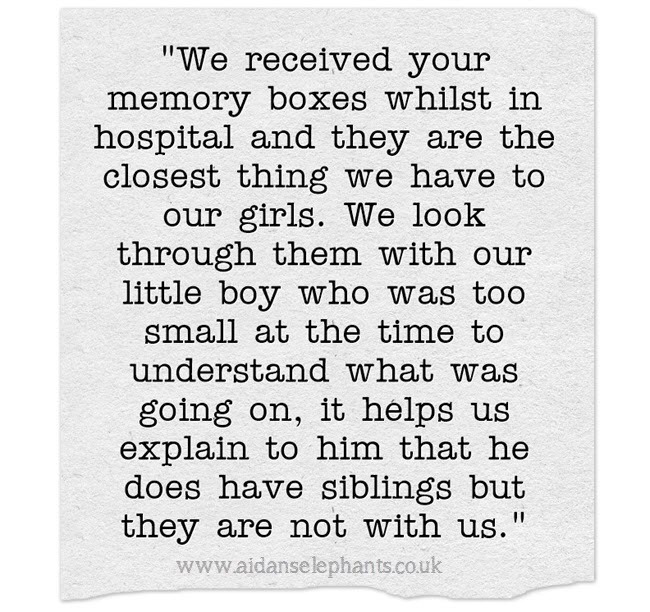 We chose some quotes from the parents who spoke to us, and (with their permission) have shared them below. All personal information has been removed for confidentiality. If you would like to provide us with a quote of your own, you can do so using the form below.